Although Cambridge, who had a superb crew this year, had a slight lead in the beginning of the 155th Boat Race, which was held on the River Thames yesterday, Sunday 29 March, Oxford put in an extra gear at Hammersmith Bridge, and had soon thereafter passed the light blues to go for their fourth win in five years. Oxford's winning time was 17 min. 0 sec. ; they crossed the finish line 3.5 boat lengths ahead of Cambridge. The total score is now Oxford 75, Cambridge 79, and 1 dead heat (in 1877). As always, the major British newspapers had in today’s papers some good stories to tell. To read what The Independent’s Christopher Dodd writes, please click here; the former Blue and Olympic champion, James Cracknell of The Daily Telegraph, please click here; Rachel Quarrell, also The Daily Telegraph, please click here; Patrick Kidd of The Times, please click here; and, finally, Martin Cross, former Olympic champion, writing for The Guardian, please click here. Page from the magazine Punch, April 9, 1881. The headline reads "Mr. Punch's Guide To The University Boat-Race". Have you read any good rowing poetry lately? On getting the question what poetry is, an editor once replied: “It’s that which can’t be edited.” This being true or not, honestly there is some bad poetry out there, which some editing could have improved, or some influential good editor might even have saved us from entirely. Now, are there any good poems on rowing? Yes, however, it is as Chris Dodd writes in his Boating, “A volume of good rowing poetry would be a slim one, indeed” (in the Small Oxford Books series, 1983). That drives the flying craft. which is where this blog got its name. Steve Fairbairn (1862-1938) is purely remembered as a coach and a writer of rowing books that taught his rowing methods, Fairbairnism, and not as a poet. Nevertheless, I have to say that he had a poet’s mind. How else would he come up with a maxim as “The dreamier a crew looks, the nearer it approaches to the poetry of motion”? The pace of their rebounding. Some years back, when I was writing an essay on rowing poetry in Swedish, I was surprised to find that one of Sweden’s most loved poets during the twentieth century, Anders Österling (1884-1981), a long-time member of the Swedish Academy, had written a rowing poem. It was published in his collection of poetry called Livets värde [Value of Life], which was published in 1940.
som lyfta den med årtakt i sitt blodpå raka armar som en festklenod. on straight arms as it was a celebrated treasure piece. But these poems are from yesterday you might say. Is there not something newer? As a matter of fact there is. Last Christmas, Santa was kind enough to give me the American poet Billy Collins’s latest collection of poems, Ballistics (2008) in which you will find a rowing poem, “Brightly Colored Boats Upturned on the Banks of the Charles”. I normally like Collins’s poems, but I have to confess that this one left me discontented and discouraged. The problem, of course, is that the poet knows nothing about the sport of rowing, and therefore gets some major things wrong that, I might add, non-rowers almost always get incorrect. the sleek racing sculls of a college crew team. as they leaned and pulled on the long wooden oars. I like the humour in “I pictured a lighter version of myself”. I mean who would not like to be lighter? However, nowadays there are no twelve-oared shells around, not even for apostles. The last twelve-oared shells that I know of belonged to the London Rowing Club in the 1870s. Another questionable thing occurs on the last line as it is said that the oarsmen “pulled on the long wooden oars”. The only wooden oars these days are the painted so called trophy oars that hang in the club rooms, or, if in Britain, in the bars of the rowing clubs. It is not easy to write a poem whether it is dealing with rowing or not, I know. A couple of months ago, I actually had a go myself. One of my Swedish rowing friends had a special birthday coming up and I wanted to send him a rowing book and an English sonnet. 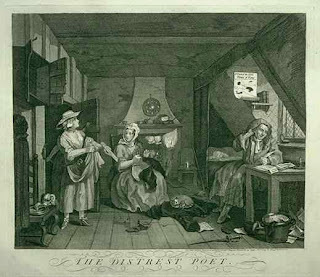 After having struggled for three days with the fourteen lines, the special rhyme scheme, and counting syllables, etc, I felt like the poet in William Hogarth’s “The Distrest Poet”. And I do not even know if I could call the finished result a “rowing poem,” although I managed to drop in the word “oar”. In the early spring of 1990, my good friend Per Ekström and I were appointed editors for the Swedish Rowing Association’s magazine Rodd [Rowing]. A couple of weeks earlier we had carelessly written a letter to the Swedish Rowing Association to offer our services, maybe helping out now and then to write some articles and take a couple of photographs for the magazine. I do not really remember, but we also might have expressed our concerns about the magazine’s decline. Not that we had a lot of experience in this field. 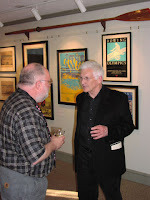 Certainly, I had written a few small articles and book reviews for the local newspapers’ culture pages, and even one or two articles on rowing, and Ekström had, on a regular basis, contributions published in an underground, left-wing monthly magazine that in the mid-1980s had gone down the drain. We received a letter from the Secretary of the Rowing Association where he very politely informed us that as we were so eager to “save” the rowing magazine, we were now in charge of it, and would we be so kind as to inform him where he could send the magazine’s archives with old photographs, unpublished material, etc. At first, of course, we were taken aback by the responsibility of publishing a magazine, especially with our lack of experience, but nevertheless we found the challenge thrilling and plunged head-first into the project as only dim people do who have no idea what they are getting themselves into. Werner Schmidt, a colleague of mine at the small publishing company where I was an editor, helped us to do a lay-out for our magazine. Thanks to Schmidt’s brilliant eye for book and magazine design, already in the beginning Ekström and I came off with a good, clean, and uncomplicated lay-out. One of the first things we did was to re-name the magazine Svensk Rodd [Swedish Rowing] to show that we started with a clean slate. The title was in a way contradicting the contents, since half of the articles through the years have been about the Boat Race, the Henley Royal Regatta, the Harvard-Yale race, the World Championships, rowing at the Olympic Games, Atlantic rowing, and other international rowing events and news. The Swedish Rowing Association installed one of their old board members as head of the magazine. This was indeed only an honorary position and as he barely wrote anything for the magazine, Ekström and I decided after a couple of issues to draw straws for which of us was going to be the “Editor-in-Chief” and the “contributing editor”. Ekström lost the draw and was made Editor-in-Chief. Being interested in history, also rowing history, in the first issue of Svensk Rodd I had an article about the Swedish inrigger-four with coxswain who took a silver medal at the Olympic Games in Stockholm in 1912 and a book review about David Clasper’s Hero of the North (1990), a nowadays very difficult to find soft-cover book about the legendary professional Tyneside rower and boat builder, Harry Clasper. To keep on writing articles and to fill the space in the forthcoming issues of the magazine, I began buying rowing books, hoping to find good stories to re-tell. I already had a couple of old rowing books in Swedish and a few in English – and, this being before the internet boom - I had to go to different antiquarian book dealers and browse their shelves. One of the first ones I found was W.B. Woodgate’s Boating (1888) in the Badminton Library series, second edition from 1889. Walter Bradford Woodgate’s Boating was the ninth volume of twenty-eight volumes of sporting books instituted by Henry Somerset, 8th Duke of Beaufort, who was the head editor which more or less was a titular editorship. The series were called The Badminton Library, or in full The Badminton Library of Sports and Pastime, and the “Badminton Library” was borrowed from the Duke of Beaufort’s grand country home Badminton House in Gloucestershire. In England the books were published by Longmans, Green & Co in London, and in the USA by Little, Brown & Co in Boston between 1885 and 1896. Boating belongs to the genre of rowing books known as “how-to”. However, it is not only a textbook that teaches the skills of rowing and sculling, it also tells the story of the rich and vigorous history of rowing, starting with oar-powered vessels of the Egyptians, Greeks, and Romans. Woodgate, who had previously published Oars and Sculls – and How to Use Them (1875) (and later would publish Rowing and Sculling, 1896), had rowed at Brasenose College and was an Oxford winning blue in 1862 and 1863. He had won the Wingfield Sculls, the Amateur Championships of the Thames, in 1862, 1864, and 1867, and between 1861 and 1868 he had won eleven “pots” at the Henley Royal Regatta. One of his most memorable races at Henley was not a win, however. In 1868, in the Stewards’ Cup, Woodgate had his Brasenose four’s coxswain jump overboard at the start to lighten the shell. The four was racing down the course with Woodgate steering the boat from the third seat with a home-made device. It took the Henley Stewards by surprise, but when the Brasnose four crossed the finish line 100 yards ahead of the London Rowing Club, the Henley Stewards had collected themselves and disqualified Woodgate’s coxless four. This was not the only hoax that Woodgate played on the Henley Regatta’s officials. Two years earlier, in 1866, he had entered the Silver Goblets twice, once as W. B. Woodgate with E. L. Corrie (Kingston Rowing Club), and once as Wat Bradford with M. M. Brown. Woodgate and Corrie came out as victors in this event, but after the regatta the Henley Stewards changed the rules so that no one could row under an assumed name. Nevertheless, Woodgate’s Boating came out in two more editions, 1889 and 1891, before it was superseded by Rowing & Punting by R. P. P. Rowe and C. M. Pitman (1898; 2nd ed. 1901; 3rd ed. 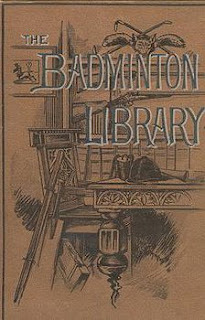 1903), which became volume 30 in the Badminton Library series. Since 2003 the Friends of Rowing History, Mystic Seaport Museum, and the National Rowing Foundation have organized four Rowing History Forums in Mystic, Connecticut. At each Forum – in 2003, 2004, 2006, and 2008 - between 60 and 100 people from around the country have gathered to hear rowers, coaches, rowing writers, historians, and scholars speak about what they love most: Rowing! Very distinguished members of the rowing society have this way entertained devotees of the sport of rowing. To mention a few of the speakers: Ernestine Bayer, Frank Cunningham, Harry Parker, Daniel Boyne, and, of course, the rowing historians Tom E. Weil, Bill Miller, and Chris Dodd, the latter famous for books on the Boat Race between Oxford and Cambridge, the Henley Royal Regatta, and World Rowing, among many, many other fine rowing publications and articles. At the latest Rowing History Forum in Mystic, in 2008, it was also the grand opening of the National Rowing Hall of Fame with the beautiful exhibit “Let Her Run,” which is now open year round at Mystic Seaport Museum. To read more about "The Hall" and "Let Her Run" click here - from Mystic Seaport Magazine, summer/autumn 2008. In 2007, when there was no Forum in Connecticut, Chris Dodd and the River and Rowing Museum sent out an invitation to a Rowing History Forum in Henley-on-Thames instead. And this year, on Saturday, 31 October, it is time again for a new Forum on the other side of the pond, at the River and Rowing Museum in Henley-on-Thames. b) Builder of wooden working boats, Gail McGarva, explores the Cornish pilot gig, the Eela Shetland boat, and the Lerret of Lyme Bay – and their interaction with their waters and communities. c) John Beresford on voyages around his father Jack and his grandfather Julius. Inquiries for Leander dinner and accommodation to Sheila Harrington 01491 636760. On March 9, 2009, it was exactly one year since the National Rowing Hall of Fame opened its doors at the Mystic Seaport Museum in Mystic, Connecticut. Then a dream came true for many of us rowing history buffs. There are some nice videos out there showing "The Hall" and the exhibit "Let Her Run" that goes with it. The following video is showing interviews with the three men that made it all happen, Hart Perry, The National Rowing Foundation's executive director, Tom E. Weil and Bill Miller, two of the USA's prime rowing historians and scholars. Hart, Tom, Bill, and all you volunteers that help building it up and now keep it running - THANK YOU! Rowing is a long-standing sport and the cradle of modern rowing rocked on the River Thames. Besides the rowing at the Oxbridge universities, three old clubs by the Thames have been triumphant when it comes to matching oar power with other clubs in England and from abroad: Leander Club, Thames Rowing Club, and The London Rowing Club, the latter founded at Putney in 1856. When the London Rowing Club this year celebrates its first venerated 150 years, it is today’s leading rowing journalist and historian, Christopher Dodd, who is holding the pen. 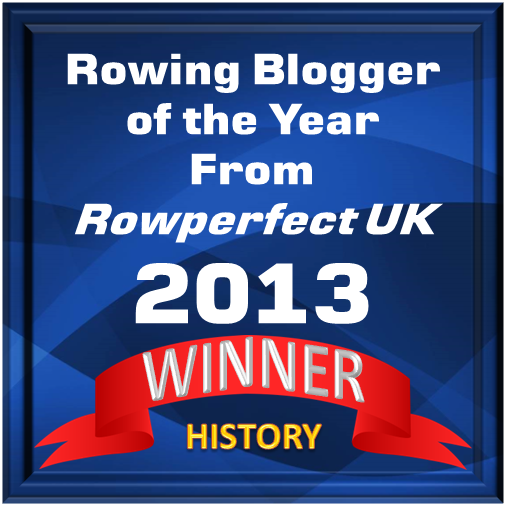 Dodd has been writing about rowing for three decades and has published highly praised books on the Boat Race, the Henley Royal Regatta, and World Rowing. His Water Boiling Aft is well-written, has wonderful illustrations, and is a truly stupendous piece of work. To read Dodd’s story is to scull along a gallery of important rowing characters. To mention a few: A.A. Casamajor was the first star of the LRC, and died in 1861 from a breaking blood vessel at the age of twenty-eight; Steve Fairbairn, the most influential rowing coach during the twentieth century, left Thames RC in 1926 after a quarrel with Julius Beresford (father of the great Jack Beresford) to coach LRC’s oarsmen; ‘Jumbo’ Edwards of the RAF and Oxford, who did not do well coaching the LRC’s crew because of his strictness and sobriety. Among the ‘movers and shakers’ in the club was the incomparable Peter Coni, who held high offices at LRC, Henley, the Amateur Rowing Association, ARA, and the governing body for international rowing, FISA. The stories of Coni are numerous and it is easy to understand Dodd’s admiration and fondness for him. Not only is Water Boiling Aft a ‘Festschrift’ for The London Rowing Club and its oarsmen through the years (and, since 2002, also oarswomen), but also it is a luminous book of rowing in Britain. Here are the boatbuilders from the Tyneside – Swaddle & Winship, who in 1875 built two twelve-oar boats with the new innovative sliding seat, for the club. 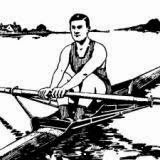 During the 1930s another experiment was tried out by a London eight; the ‘syncopated rowing’ or ‘jazz rowing’, which meant that two blades were always in the water pulling the boat; the coxswain sat in the centre! And, of course, there are stories about the Henley Royal Regatta, this very British event that was, and still is, the most important regatta in the calendar for the home crews. But first and foremost, Dodd’s book is a grand tribute to The London Rowing Club. 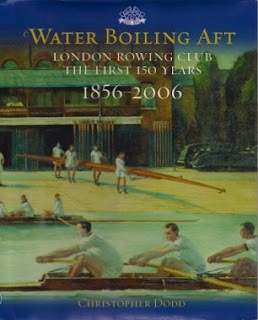 Water Boiling Aft: London Rowing Club, The First 150 Years 1856-2006 by Christopher Dodd, published by The London Rowing Club, 2006. This review was published in Maritime Life and Traditions, No. 33, Winter 2006. Thomas E. Weil Jr. of Connecticut might not be familiar to the man in the street or even to active rowers, but to rowing historians and scholars, his is a household name. Weil probably has the world’s largest private collection of rowing prints and memorabilia. Between 10 June and 2 October 2005 part of that collection - principally dealing with British rowing between 1820 and 1870 - was on display at the River & Rowing Museum in Henley-on-Thames, England. And for those of us not fortunate enough to make it to the exhibition itself, there remains this grand catalogue with perfect reproductions of its images and artefacts. 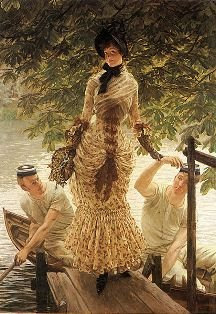 The selections were chosen by Weil for their beauty or craftsmanship, and include ancient coins, trophies, a variety of ‘pots’, medals, and other prizes, early photographs, and marvellous art works depicting galleys, the Thames, rowing at the Oxbridge universities, at Eton and Westminster, at regattas, and, of course, the watermen and professional champions. 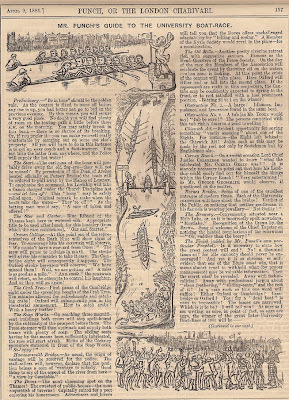 Furthermore, Weil wrote the highly informative captions, proving that he is not only a collector of the first rank, but also an art and rowing historian of distinction. He has missed neither wave, nor cloud, nor a sighing in the trees, to tell how nature and setting are equally as important as the boats and the oarsmen to a picture’s beauty. Or, as Weil expresses in the introduction, ’the rowing imagery and memorabilia of this early period reveal a desire to please or to praise’. In the well-written essay The dangerously neglected legacy of rowing [to read a version of this essay click here] at the end of the catalogue Weil expesses a need not only for rowing to be recognized as a sport but also for its history to be treated as an ‘academic’ subject. Enough cannot be said of the importance of bringing - and keeping - rowing and its rich history into the limelight. Thomas Weil’s enthusiasm for teaching and sharing his knowledge, as shown in Beauty and the Boats, should be a guiding-star for rowing historians. 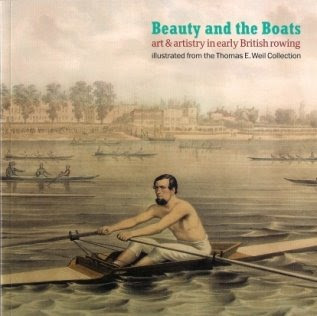 Beauty and the Boats - art & artistry in early British rowing by Thomas E. Weil Jr., published by River & Rowing Museum, 2005. This review was published in Maritime Life and Traditions, No. 30, Spring 2006. In 2002 Ian Whitehead, Keeper of Maritime History at Tyne & Wear Museums, published The Sporting Tyne - A History of Professional Rowing, in which he told the story of the greatest oarsmen on the River Tyne: Harry Clasper, Robert Chambers, and James Renforth. This latest offering is a biography of just one of those men, James Renforth, born in Newcastle upon Tyne in 1842. With no school education, Renforth became a smith’s striker, and in early 1866 started ferrying the workers demolishing the old Tyne Bridge. Later that year, he won his first sculling race. Rowing was a growing sport in the mid-1800s, and professional rowing caught the eye of the working class, especially for placing bets. As Whitehead puts it ‘professional rowing was all about money’. Renforth quickly showed that he was among the best and became a popular sporting hero. In November 1868, just two and a half years after his novice race, he defeated Harry Kelley – the champion and top London sculler – for the Championships of the World; for the Tynesiders there was a special joy that the loser was a ‘Cockney’ from the Thames. The stake was £200 – equivalent to £40,000 today! At the Paris International Regatta in 1867, a Canadian four won a race in great style, but in 1870 the same crew – known as ‘the Paris four’ – lost a race for the World Championships to Renforth and his crew. After the race, Renforth fell out with his fellow oarsmen, and he turned to his great rival, Harry Kelley, to row a pair instead; it was a rare Tyne-Thames alliance. In a re-match with the Canadians on 23 August 1871 on the Kennebeccasis River at St John, New Brunswick, Renforth stroked a new crew that included Kelley, to an apparently easy victory. But suddenly, in mid race, Renforth called out ‘Harry, Harry, I have had something!’. He collapsed at his oar, the crew rowed ashore, and hours later the most distinguished rower of his time was dead; he was just twenty-nine. Ian Whitehead is to be congratulated for his excellent, well-written, and nicely illustrated biography of the most prominent oarsman of the era. It is to be hoped that it reflects a renaissance in a wider interest in professional rowing and sculling. 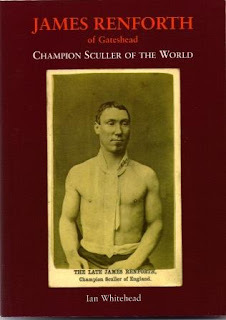 James Renforth of Gateshead, Champion Sculler of the World by Ian Whitehead; published by Tyne Bridge Publishing, 2004. This review was published in Maritime Life and Traditions, No. 26, Spring 2005. 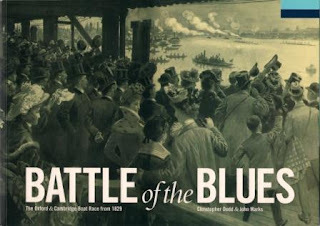 Many good books have been written about the rowing race between Oxford and Cambridge through the years and, in celebration of its 150th duel, on 28 March 2004, another was published: Battle of the Blues – The Oxford & Cambridge Boat Race from 1829. For a book dealing with probably the world’s most traditional sporting event ever, it has a refreshing, unorthodox arrangement and layout. The left-hand pages carry an excellent, short, conventional history of the race written by John Marks, while facing it are a variety of articles, mostly composed by ‘old Blues’, which reveal the unique quality of the race. The Oxford and Cambridge Boat Race, commonly known as just ‘The Boat Race’, saw the light of day at Henley in 1829, after the Oxford student Charles Wordsworth and his friend, Cambridge student Charles Merivale, decided that their respective universities should meet in a rowing match. The first race, won by Oxford, was not without controversy as there was a clash of blades, a foul, a re-start, and some poor decisions made by the umpires. Unfortunately, at least from the view of sportsmanship, these matters would not prove to be isolated incidents in the race’s 175-year history. However, regardless of crew mutinies, a lack of honesty and fairness among some oarsmen and coaches, and, at times, pure incompetence of umpires (not to mention the interference of two World Wars), this private match between two famous academic institutions has ridden out of the storms, almost untouched. A book such as this should be, and indeed is, filled with anecdotes. In 1877 ‘Honest John’ Phelp, the finishing umpire, declared the race a ‘dead-heat to Oxford by five feet’ – it still stands in the history books as a ‘dead heat’. Of course, it is hard not to compare that race with the one of 2003, which Oxford won by just one foot! After the 2004 race the score stands at dark blues (Oxford) 71, light blues (Cambridge) 78, plus Phelp’s dead heat. The book’s strength is in the diversity of articles, which give readers insight into building a ‘blue’ boat, coaching a boat race crew, the coxswains’ endeavours to master the ticklish tide of the Thames, and the delicate task of umpiring two crews along the 4 1/4-mile course between Putney and Mortlake. And this splendid publication is beautifully illustrated with magnificent images from Thomas E. Weil’s collection. Weil has also contributed a scholarly, well-written article about how the race has been depicted since 1829. This book reveals the mystique and might of the race, and why it is safe to say – despite political changes, new-fangled ideas, and the rife of anti-amateurism in sports – there will always be The Boat Race. Thank God. Battle of the Blues – The Oxford & Cambridge Boat Race from 1829 ed. by Christopher Dodd and John Marks; published by P to M Limited, 2004. This review was published in Maritime Life and Traditions, No. 24, Autumn 2004. Against better judgment I have become a blogger. If you would have told me a couple of months ago that I would start a blog, I would have called you insane, a liar, or something even worse. But things can change in life. Well, I wish I could say that there was a heap of newspapers and magazines in line begging me to write for them about rowing - but there is not. If it had not been that Per Ekström, the Editor-in-Chief for the Swedish rowing magazine Svensk Rodd, is a very dear friend of mine, I would probably not be asked to contribute to that quarterly publication either. And let us face it, how many rowing periodicals are there around these days? There is the Rowing News (formerly Independent Rowing News) in New Hampshire and ARA’s Rowing & Regatta in England, and Rachel Quarrell’s and Chris Dodd’s eminent online Rowing Voice, but that is more or less it. Even the New York Times stopped publishing their small notes on rowing news in the sport section a couple of years ago – not that I ever wrote for that newspaper, though. For a couple of years, I had some small articles and reviews on rowing books published in the beautiful Maritime Life and Traditions, which was a magnificent American/British magazine that ceased to be in 2006. Before that I had been a regular contributor for a newspaper in Sweden whose culture editor allowed me to write whatever I wanted for his pages. Of course I took the opportunity to write about all kinds of different aspects of rowing as a culture phenomenon: there were articles about Thomas Eakins’s paintings showing the professional rowers, the Biglin brothers; James Tissot’s lovely painting depicting his mistress Kathleen Newton in On the Thames, (also known as Return from Henley); the Swedish author Frans G. Bengtsson’s Viking novel The Long Ship, which has some humorous rowing segments; the opening of the River and Rowing Museum in Henley-on-Thames, etc.